Quality kids bike manufacturer Frog have made big inroads into their market since they launched in spring 2013. Their range of bikes, built in Wales, tick all the boxes in the checklist of features for great kids bikes: Durable, Comfy, Lightweight, Good Looks, Reliable and a decent amount of size adjustment to cope with growth. “Kids have never had it so good.” That’s what us grown-ups always say, looking at the Frog range of bikes, we are right. Gone are the days when kids bikes were just a cheap, heavy, poor quality play thing. The ‘Bob the Builder’ or ‘My Little Pony’ stickers might have initially excited them, but once the novelty pink tassels & bob graphics wear off, there’s limited joy to be had on a heavy, uncomfortable bike. Frog bikes are built with great attention to detail. Frog obviously spent time looking at the needs of youngsters at different ages and built their bikes accordingly: lightweight, low centre of gravity, comfy saddles, shorter cranks, comfy grips, easy reach brake levers (for when they discover that skidding is THE most fun you can ever have). With the exception of the balance bikes, all Frog bikes come with front and rear mudguards, this should keep bike and rider cleaner during those fun puddle splashing rides. The Frog Bikes range starts with the Tadpole balance bikes and goes through to the Frog 70 – a Road / CX bike aimed at 11–14 year olds. 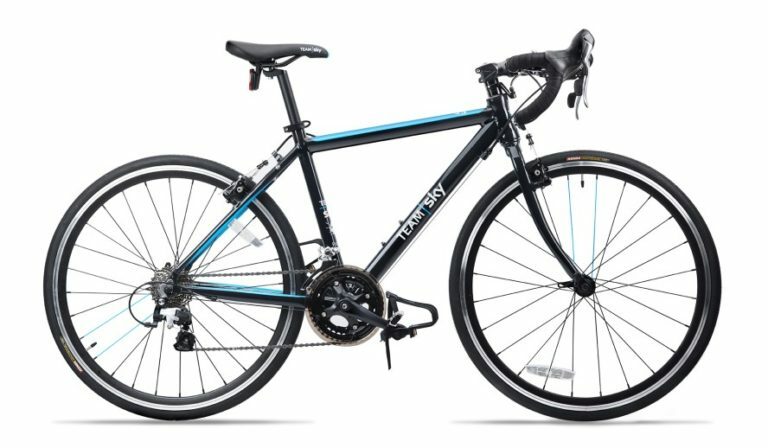 All Frog bikes feature alloy frames and quality components, keeping the weight down, while building longevity into each machine. Well known, high quality manufacturers, such as Shimano, Tektro and Kenda supply the components for the bikes, ensuring ongoing reliability. The whole range is available in several timeless classic (unisex) colours. The Team Sky livery option will feed racier ambitions for the next generation of Lizzie Armitstead & Chris Froome wannabees. One great feature of the Frog Road/CX bikes is that they come with road and cyclocross tyres. Supplying two sets of tyres encourages wider use of the bike – not just on road, effectively transforming one bike into two. Another bonus for parents is that quality kids bikes hold their value far better than cheaper ones. Worth considering, as after all, they don’t stay quite so little for long! 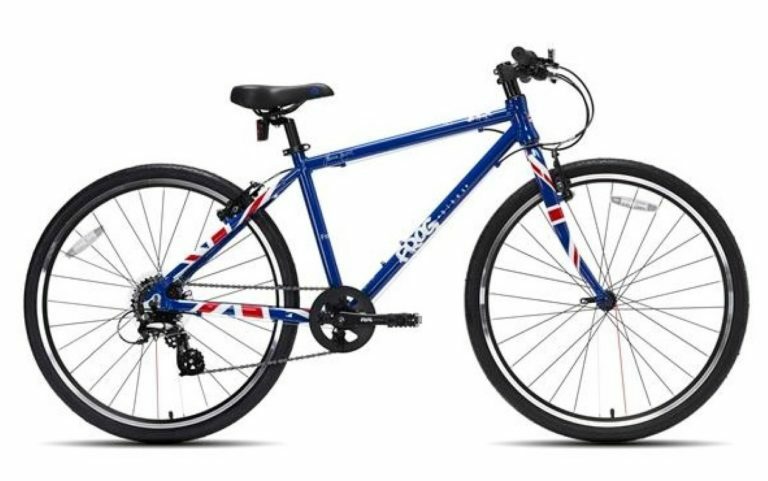 Frog Bikes will appeal to parents looking for a high quality bike which will suit their children without being overtly childish. 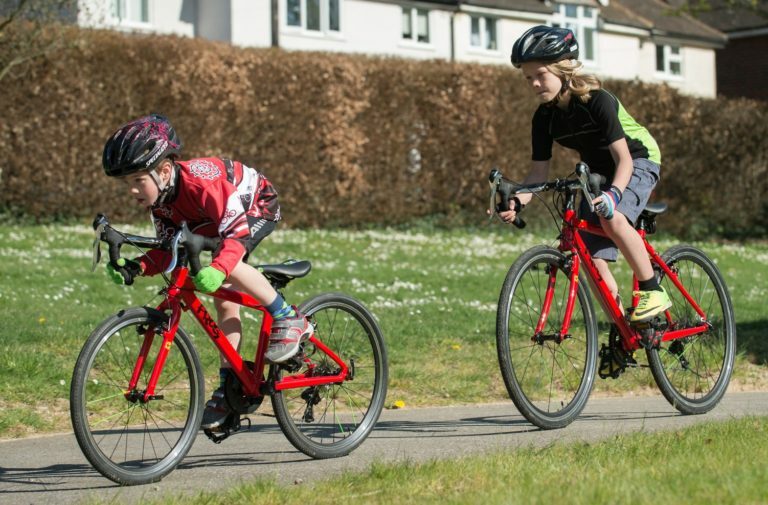 The Frog Bike range’s inbuilt quality and flexibility should allow youngsters get the full range of cycling experiences from learning to ride, through into their early teens. The Frog range starts with the Tadpole at £100 and goes through to the Frog 70 currently on sale at £382.50. Tagged child cyclocross, children cycle, children cycling, Childrens bike, Childs bike, cycle to school, kid cyclist, kids bike, kids cycling, kids cyclo cross, kids cyclocross, young cyclist. Bookmark the permalink. They are really enjoying. How I wish my kids to be like them as they grown up.